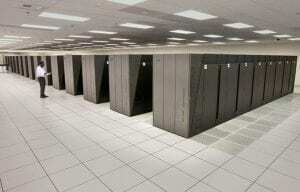 Here are the world’s fastest supercomputers according to the TOP10 list, together with a breakdown of their specs. 3 times faster than the previous reigning champ. National Supercomputing Center in the city of Wuxi. utilising a new ShenWei processor and custom interconnect made in Wuxi. 40,960 64-bit, RISC processors, each of which has 260 cores. equivalent to 125 petaflops (quadrillion floating point operations per second) — 93 petaflops in the Linpack benchmark. Each compute node has 32GB DDR3 memory, for 1.3 PB across the whole machine. 16,000 nodes, each with two Intel Xeon E5 Ivy Bridge processors and three Xeon Phi 31SP co-processors, for a combined total of 3,120,000 computing cores. Combined with 1PB (petabyte) of memory, the machine’s theoretical peak performance is 54 petaflops. 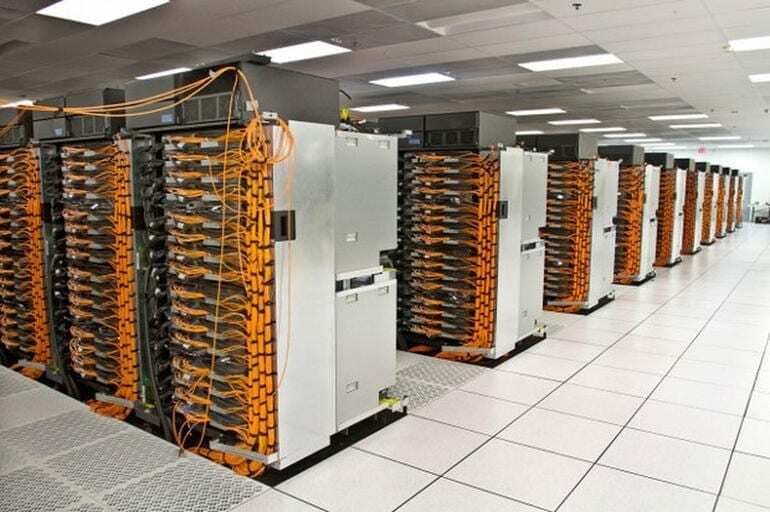 utilising 560,640 cores, split between AMD Opteron 6274 processors, clocked at 2.2GHz, and NVIDIA K20x accelerators. 27.1 petaflops and it has 710TB of memory. an IBM Blue Gene/Q system, with a peak performance of 20.1 petaflops, achieved using 1,572,864 Power BQC cores, rated at 1.6GHz. CNK and Red Hat Enterprise Linux operating systems and custom interconnects. more than eight quadrillion calculations per second at launch. 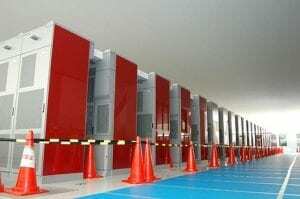 Kobe’s RIKEN Advanced Institute for Computational Science, Fujitsu-designed machine packs in 705,024 SPARC64 VIIIfx processor cores, each rated at 2GHz, and 1.4PB of memory. 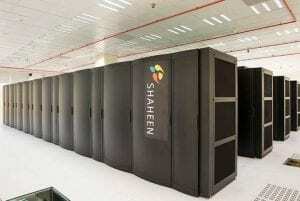 11.2 petaflops, it draws 12.7MW. custom interconnects and runs a Linux-based OS. 10.1 petaflops, 49,152 compute nodes, each with a 16-core PowerPC A2 processor clocked at 1.6GHz, and 16GB DDR3 memory, giving it a total of 786,432 processing cores and 786TB memory. Linux-based OS, uses custom interconnects and draws 3.9MW. 11 petaflops, 16-core Xeon E5-2698v3 processors, clocked at 2.3GHz, for a total of 301,056 cores. 7.8 petaflops peak performance, the Cray XC30 machine relies on 5,272 compute nodes, each with an eight-core Xeon E5-2670 processor, clocked at 2.6GHz, and a NVIDIA Tesla K20X GPU accelerator. Recently upgraded with a further 1,256 compute nodes, each with two 12-core Intel Xeon E5-2690 v3 CPUs. 169TB DDR3 and 32TB GDDR5. Aries interconnects and runs on a Cray Linux OS. Cray XC40-system, 7.4 petaflops. 15,424 Intel Xeon CPU E5-2680 v3 processors, clocked at 2.5 GHz, for a total of 185,088 cores. 1PB of memory, relies on Aries interconnects and draws 3.2MW. 12,000 Xeon E5-2698v3 processors, each packing 16 cores clocked at 2.3GHz, for a total of 196,608 cores. 7.2 petaflops peak performance and draws 2.8MW. Cray Linux OS and uses Aries interconnects.